How well does Spencer James adapt to life at Beverly High during the first season of the All American TV show on The CW? As we all know, the Nielsen ratings typically play a big role in determining whether a TV show like All American is cancelled or renewed for season two. Unfortunately, most of us do not live in Nielsen households. Because many viewers feel frustration when their viewing habits and opinions aren’t considered, we’d like to offer you the chance to rate all of the All American season one episodes here. What do you think? Which season one episodes of the All American TV series do you rate as wonderful, terrible, or somewhere between? Should The CW cancel or renew All American for a second season? Don’t forget to vote, and share your thoughts, below. 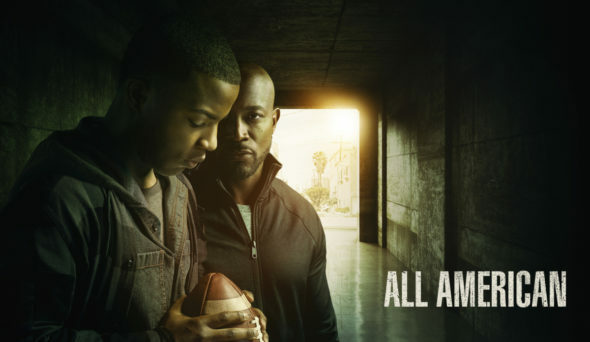 More about: All American, All American: canceled or renewed? Just discovered this show. Love it! Now I need season 2. Wow. What a great series!! I was literally glued to the tv because I couldn’t get enough of All American. I watched all 16 episodes in 2 days. Please come with Season 2… I’m in suspense about who’s really Dillon’s father. I just started watching and could not stop. It’s clean, real and keep you wondering. I was glad the main stars remained throughout each episode. They are all beautiful people and doing an amazing job keeping in real. I’ve seen that depicts realness and life’s hardships and triumphs. Added bonus my kids can watch as it not rated R!!! Hopin. For season 2! Cast was awesome. I love this show, finished the whole season in two days! Season 2 please! Please I want more, there could be so many more episodes of All American. I want more more more. All American was awesome! I encourage everyone to watch it. Please renew for season 2 looking forward to it can’t wait.